We’re doing letter C activities at our house, and I like to include a set of themed math with each letter. For letter C, we’re learning about coins. 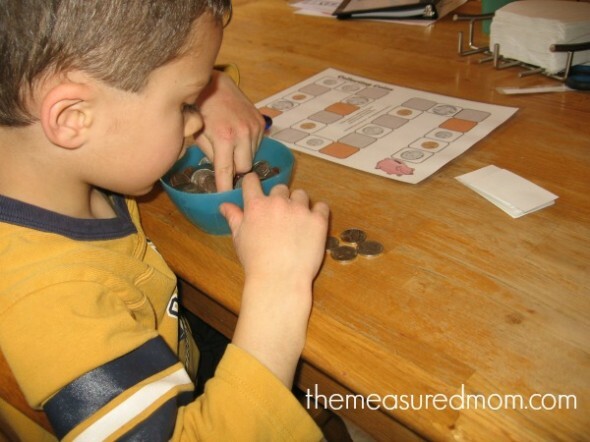 While I don’t teach my preschoolers how to figure out the value of coins, I do want my kids to be familiar with them and start to learn their names. I created this fun and simple game to teach the names of coins. 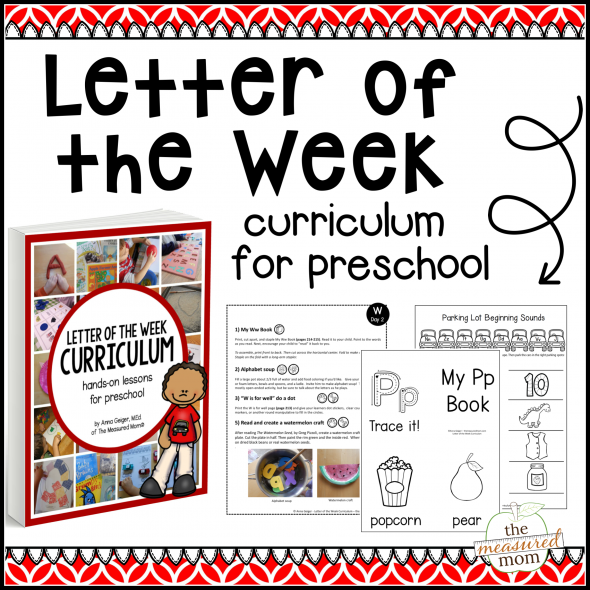 It works well for older preschoolers, kindergartners, and kids in first grade. 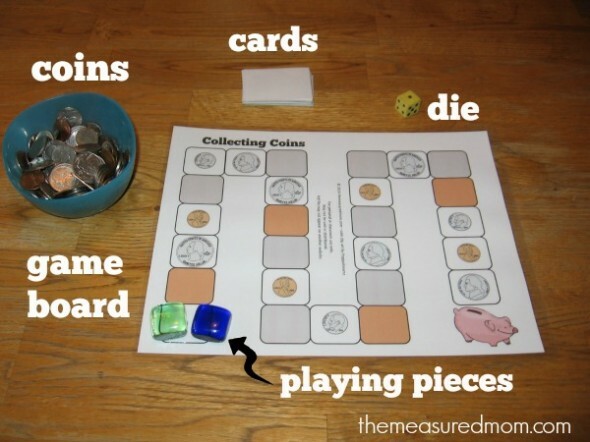 Teach the names of coins with this fun game! 1. Give each player 5 quarters, 5 dimes, 5 nickels, and 5 pennies. 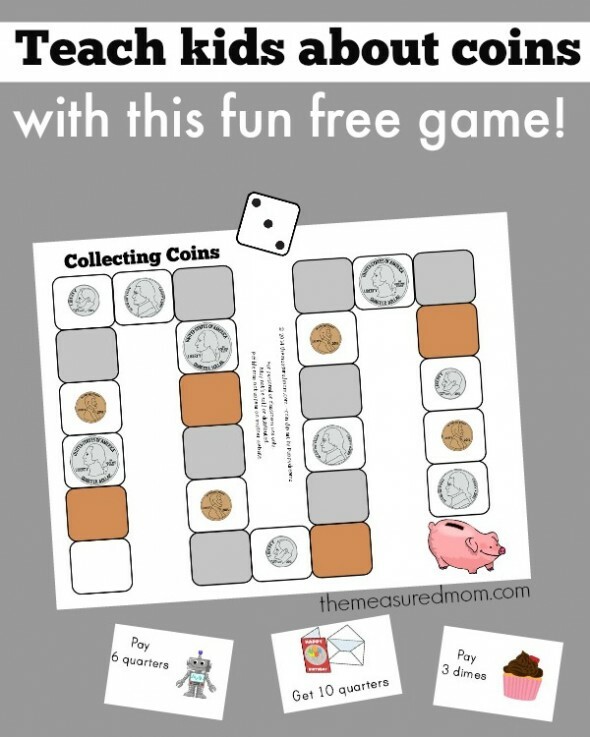 Have your child count out the coins for each player if he’s up for it. 2. Take turns rolling the die and moving around the gameboard. If you land on a coin, you get ONE of that coin from the bowl of coins. If you land on a colored space, draw a card from the pile. These are the cards. Depending on what you draw, you will either buy something and pay out of your own coins into the coin bowl, or get coins from the bowl as a gift. If you do not have enough coins to pay for something, just pay what you are able to (if it calls for five pennies and you only have three, just pay three). 3. Keep playing until all players have reached the piggy bank. 4. At the end of the game, each player counts up his coins. Whoever has the most coins, wins. If you’d like, add up the value of the coins to determine the winner. This will be something a grown up will have to do unless older children are playing the game. This game was a HUGE hit with my daughter, who is just finishing first grade. She wanted to play it countless times throughout the day. Even though she knows the names of coins pretty well, this gave her additional practice. At the end of the game, she enjoyed finding the value of her winnings with my help. 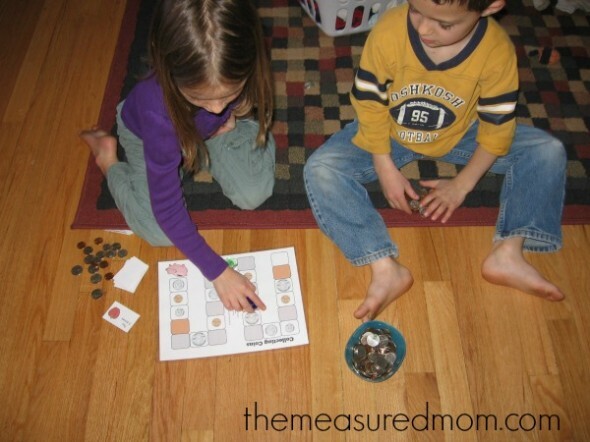 When she played with her brother, who has not yet started kindergarten, they added up the number of coins to determine the winner. A tip: When printing, print pages 1-2 back to back. Then you will have the instructions on the back of the game. I like to print my games on cardstock and laminate for durability. Great game, Anna! Thanks for sharing! Thank you for checking it out, Heather! Thanks for sharing! Looks like a fun way to learn! Pinned it! Thank you for the pin, Debbie! Thank you for sharing! This is brilliant! I will be using this in summer camp with Rising K-2 students this year!! I’m so glad you can use it, Meaghan! Looks like a fabulous game. Perhaps you could make one using Canadian coins. 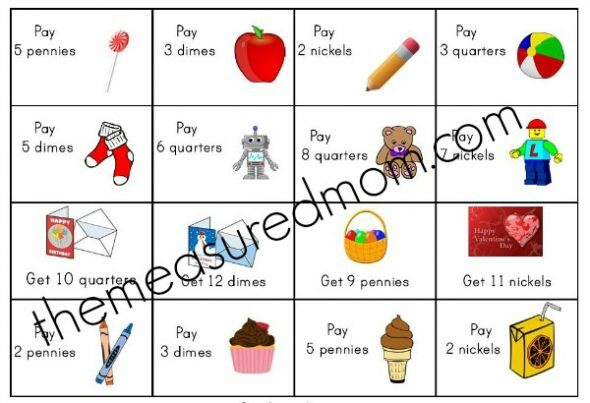 Thanks for the resource for Money Math for teaching multi-grade summer school. Thanks so much for finding the Canadian clip art and making the Canadian Coin games. You are the best! We are looking forward to playing this. It looks like so much fun. Thank you for sharing! !